Amani Forged has been with Advluence since their first month in business, and it has been an incredible ride. The Amani Forged Team has relied on us for all marketing material needed and we have consistently delivered. We have helped grow their social media presence to over 60,000 quality, relevant consumers in nearly one year. We have had a hand in generating all of their content, including web design, graphic design, videography and photography.Advluence has also helped establish Amani Forged’s brand identity through strategic positioning, copywriting, and targeted advertisements. After just 2 years in the wheel business, Amani Forged is in the same conversation with competitors who have been around for nearly 20. 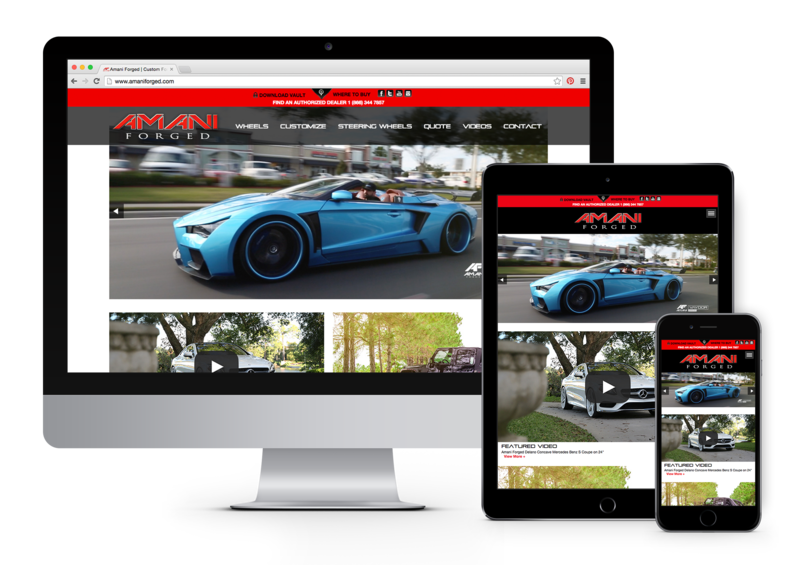 We have created over 90 videos for Amani Forged throughout the span of the year, including wheel/product feature videos, event recaps, and car shoots.